India Post has launched its e-commerce portal, aiming to ride the wave of online commerce in India. The plan is to offer small traders and artisans an online marketplace, leverage its parcel business for end-to-end delivery of products. The plan, however, is unlikely to help the country’s ailing postal services increase its revenue receipts. First, India Post is late to the party. It is entering a market that is now dominated by Amazon, the world’s largest online retailer, and Walmart that has bought a majority stake in India’s second-largest online retailer Flipkart. Besides, there are plenty others, including China’s Alibaba-backed Paytm, The competition is too tough. Second, India Post’s strength is its wide network, especially across rural India. It has 1.5 lakh post offices that connects each corner of India. But, that won’t work as an advantage. Amazon, when it stepped into India, had signed an agreement with India Post to use its postal parcel service for delivery of Amazon goods. The experience was not good enough, and Amazon eventually reduced availing India Post's services. Yet, Amazon covers about 97 percent of PIN codes across the country. Even, Amazon delivers in remotest places like the Andamans. So does Flipkart. Thus, there’s no reason why traders or consumers would want to use India Post’s e-commerce. Third, with their enormous financial supports, both Amazon and Flipkart offer deep discounts to lure consumers, which India will not be able to do. Naturally, consumers are unlikely to go to India Post’s e-commerce portal for purchase, unless it sells something that is not available on Amazon or Flipkart. Fourth, decision-making takes a lot of time for India Post. India Post initially wanted to get into e-commerce in 2012, a working group was formed that submitted a five-year plan, with a budget allocation of just Rs 50 crore for e-commerce. Considering the billions that Amazon and Flipkart have already spent and have many more billions that they would not bother spending to win consumers and fight competition, India Post has no chance. Last, but not least. 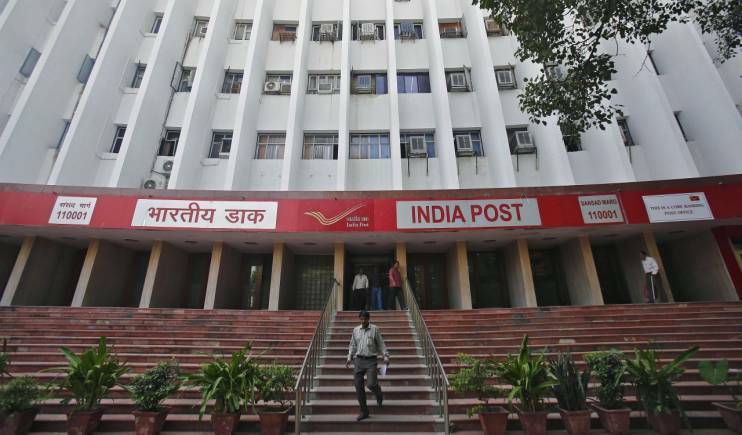 India Post has cited success of other countries’ postal services such as Singapore Post, Honk Kong Post, Korea Post and Japan Post in e-commerce. The fact is most of them operate as logistics support to private e-commerce companies and not as e-commerce players themselves. Even then, it’s not a profitable proposition. For instance, Singapore Post reported a loss of $16.7 million from its e-commerce business in the first quarter of 2019, which caused a 40.4 percent drop in its total profit to $18.72 million, according to a report by Singapore Business Review. India Post has already failed in working as a logistics partner for e-commerce companies like Amazon and Flipkart. It’s unlikely, it will manage any success in operating as an e-commerce player.